Kentucky currently has four waivers that are open to children. All are HCBS 1915(c) Medicaid waivers. Two of these programs waive parental income; we have not been able to obtain information about the others. 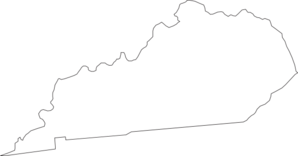 For information on Kentucky's programs, visit their Division of Community Alternatives page. Kentucky also has several adult-only waivers, including Acquired Brain Injury, Acquired Brain Injury--Long Term Care, and HCBS Transitions. Target Population: Children and adults who are medically fragile and technology dependent and use a ventilator. Description from medicaid.gov: Provides skilled services by LPN, skilled services by RN, skilled services by a respiratory therapist for technology dependent individuals, ages 0 - no max age. How to Apply: Your physician or hospital will make a PDN referral. You can apply online using the benefind self-service portal or in person at your local Department for Community Based Services (DCBS) Office. Description from medicaid.gov: Provides adult day health, case management, community access, day training, personal assistance, respite, shared living, supported employment, occupational therapy, physical therapy, speech therapy, community guide, goods and services, natural supports training, transportation, assessment/reassessment, community transition, consultative clinical and therapeutic service, environmental accessibility adaptation services, person centered coaching, positive behavior supports, specialized medical equipment and supplies, vehicle adaptation for individuals with ID/DD, ages 0 - no max age. How to Apply: Online using the benefind self-service portal. In person at a Community Mental Health Center (CMHC) or Area Agency on Aging (AAA). Waiting List: Program is full with a waiting list but the length is unknown. There are 8181 people with intellectual disabilities on the state's waiting list. Description from medicaid.gov: Provides conflict free case management, consultative clinical and therapeutic services, day training, personal assistance, residential support level I, respite, shared living, supported employment, community guide, financial management services, natural supports training, community access, community transition, environmental accessibility adaptation services, goods and services, person centered coach, positive behavior supports, residential support level II, specialized medical equipment and supplies, technology assisted residential, transportation, vehicle adaptations for individuals with ID and DD, ages 3 - no max age. How to Apply: Online using the benefind self-service portal. In person at a Community Mental Health Center (CMHC) or Area Agency on Aging (AAA). You may may also call (502) 564-1647. Waiting List: Yes, but length is unknown. There are 8181 people with intellectual disabilities waiting for services in KY. Description from medicaid.gov: Provides adult day health, conflict free case management, specialized respite, participant directed coordination, attendant care, environmental and minor home adaptation, goods and services, home and community supports, home delivered meals, and non-specialized respite for people with physical disabilities ages 0-64 years, other disabilities 0-64 years, and aged individuals ages 65 - no max age. How to Apply: Apply through a home health agency for an assessment and complete an application at your local Department for Community Based Services (DCBS) Office or call 1-855-459-6328. Waiting List: Yes, but length is unknown.